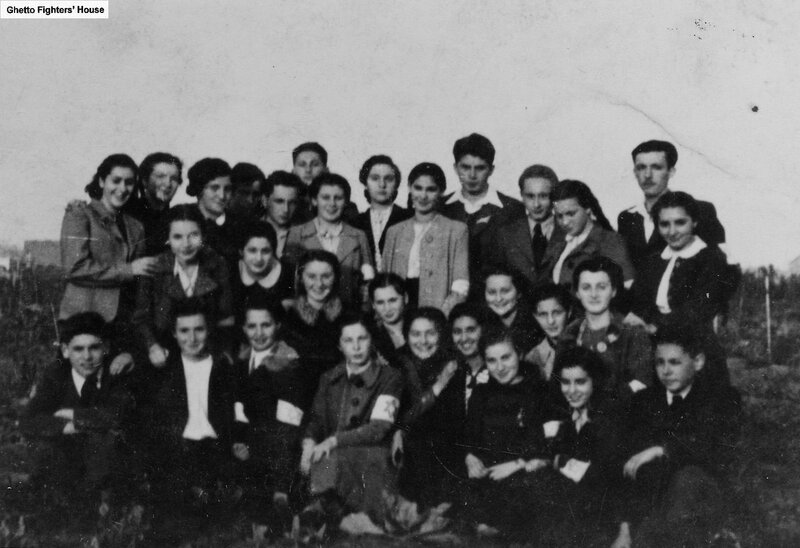 Ghetto Fighters' House/ Lohamei Ha'Getaot, photo of Sosnowiec branch of HaNoar HaZioni, Hela Hocherman is in the center, in the light coat with the braids. Atlit British Detention Camp Museum, Archive of illegal immigration to Palestine, voyage of the Enzo Sereni, an Italian fishing boat on which Hela Hocherman traveled to Eretz Israel. JRI-Poland, a leading source of Jewish genealogy, helping families unearth elusive pre-war roots.